The tragic news filtered through today (12th) of the passing of a comic genius. 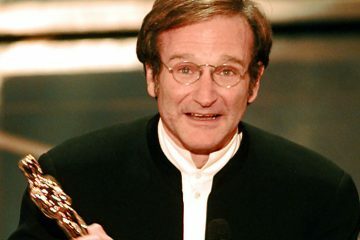 Robin Williams defined himself by his fast-paced ad-libbing in his stand-up, but in his onscreen performances he was able to bring many more skills to a raft of varied and memorable roles. It is this variety and talent to which we pay tribute as we run through Robin Williams’ five best performances. This choice could be blamed on nostalgia to a certain extent, but think about it: who else could possibly have played Mrs. Iphegenia Doubtfire? Most any other actor would have been too crude, too creepy or too self-important for the part, but Williams brings his warmth, his physical dexterity and a little knowing sass to the part. Despite a plot that really shouldn’t work (Man dresses as a Scottish nanny to see his kids? Call the mental hospital!) and some undeniable sappiness, Mrs. Doubtfire is a fine entry in the tradition of larger-than-life drag queens onscreen, with Williams firing on all cylinders whenever he dons the dress. After trying to break Hollywood for years (Remember Popeye? Oh, poor you. ), Williams’ breakthrough performance came in Barry Levinson’s Vietnam comedy. Playing irreverent DJ Adrian Cronauer, Williams put his ad-libbing skills to good use, and earned himself the first of four Academy Award nominations while doing it. Cronauer entertains the troops with his off-colour and wild humour, and ensures the audience is on side when the powers that be seek to take him off the air. 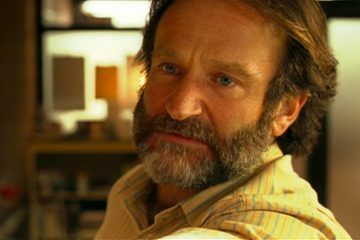 Williams would play variations on the benevolent funnyman in years to come (Patch Adams, Jakob The Liar), but none come close to his performance in Good Morning Vietnam. Never underestimate the power of a voice actor. Besides being a name to put on a poster, they can craft a character and make it leap off the screen. For Disney’s adaptation of Aladdin, Williams’ casting as the Genie of the lamp was a stroke of genius. When voiced by Williams, the Genie became more than a means to an end for the protagonist. Allowed free rein to improvise, the energy of Williams rat-a-tat ad-libbing is infectious, melding with the bright animation to create a character beloved by all audiences. It is alleged that Williams’ constant improv (rumoured to be 16-hours plus in recording time) meant the Academy had to disallow Aladdin from being entered in the race for the Best Adapted Screenplay Oscar. A small price to pay for such a memorable and likeable character. 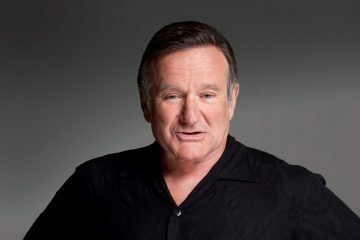 Throughout his career, Williams took some flak for choosing roles and films that were schmaltzy and over-earnest (Patch Adams is unwatchable, and Bicentennial Man is as sickly-sweet as an intravenous nougat drip). His critics clearly couldn’t see that he could be predisposed towards such material from his stand-up, in which he often talked about his family and personal life in endearing (and, yes, occasionally schmaltzy ways). One film that could have easily turned into one of those manipulative weepies was Good Will Hunting. Williams palys Sean Maguire, the psychotherapist tasked with brining Will Hunting (Matt Damon) out of his shell. 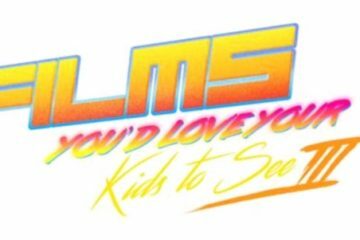 The role calls for care and earnestness aplenty, but Williams and the script ensure those elements are balanced with a sadness and earned sense of pathos. Maguire speaks from a place of experience, not of forced Yoda-esque wisdom. Williams brings warmth and the required depth to Maguire, and earned himself an Academy Award in the process. At the risk of sounding flippant in the wake of Williams’ death, hindsight may well reveal the true splendour of his performance as Sy Parrish in Mark Romanek’s troubling debut. The tics and wisecracks are completely shed, replaced by a sadness that may have been easier for Williams to reach than we imagined. The tale of a photo laboratory technician’s obsession with a family of customers could have turned sordid, but Williams brings a great deal of sympathy to Parrish. Another potential movie sociopath is grounded in an identifiable isolation. As his obsession gets out of hand, Williams eschews easy anger for panic and upset. This is no maniac; he’s a troubled human being in need of human contact, and sometimes the most basic needs are the most difficult to satisfy. 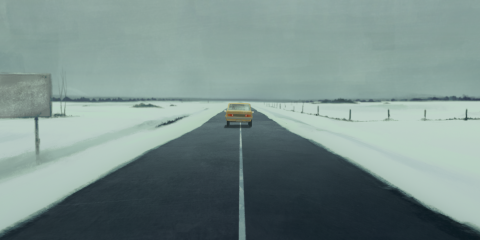 Williams bleached his hair and turned down his trademark manic energy to contribute a nuanced and troubling performance to one of the most poignant film depictions of loneliness in recent memory. 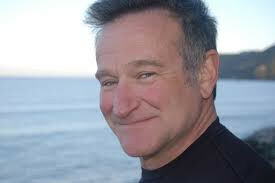 Between this and his performance in Christopher Nolan’s Insomnia, 2002 proved a watershed year for Williams. He proved his mettle by turning to the dark side. A man forever linked to laughter can also embrace the troubled side of the soul, a fact we may have learned a little too late.